In an effort to widen their harm reduction measures, Bestival will be introducing drug testing facilities at their 2018 event. Taking place in Dorset, England, the British festival will allow attendees to test their drugs for purity and added substances without the fear of legal repercussions. 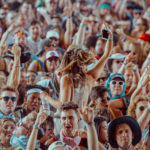 While harm reduction strategies are often praised within the dance music and festival communities, a zero tolerance policy on drug use tends to pervade the majority of political discourse surrounding the issue. Drug safety group DanceSafe had their tent shut down at Electric Forest Festival in 2015, likely in fear of breaching the United States’ Illicit Drug Anti-Proliferation Act (commonly known as the RAVE Act). With a major events like Bestival taking these first steps in harm reduction, the effects these measures will soon be seen in a large scale festival environment, and hopefully lead to an international discussion of how drug use is treated in the realm of music and beyond.